We recently found that Acoustic treatment to building facade has a direct impact on Energy Rating, and both services overlap. Therefore we found it prudent to offer both services. 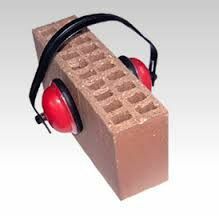 We are dedicated to providing a full range of acoustic services including noise, sound quality and vibration. Providing consultancy services to Architects, Engineers, Planners, Developers and Builders.